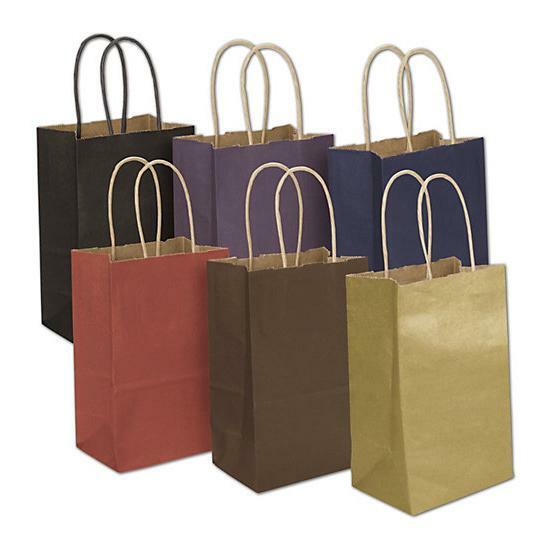 Brown Paper Shopping Bags With Handles. 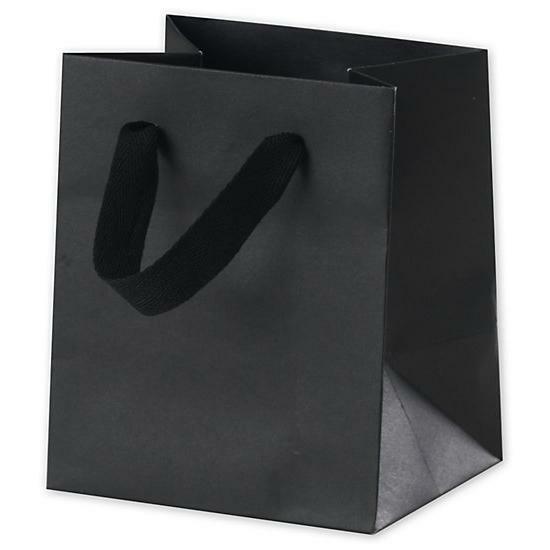 Kraft Paper Shoppers Vogue, 16 X 6 X 12 1/2"
Custom Printed Grocery Bags - Brush Strokes Paper Bags, 12 X 15"
Premium Black Matte Euro-shoppers Bag, 16 X 4 3/4 X 13"
Retail Bags - Colored Paper Merchandise Bags, 12 X 15"
Retail Shopping Bags - Premium Black Matte Euro-shoppers, 20 X 6 X 16"
Shopping Bag - Aqua Cotton Candy Shoppers Paper Bags, 16 X 6 X 12 1/2"
Varnish Stripe Paper Shopping Bag With Handles, 16 X 6 X 12 1/2"
Wholesale Retail Bags - White Matte Laminated Euro Shoppers, 20 X 6 X 16"
We offer a wide selection of retail and wholesale paper shopping bags. 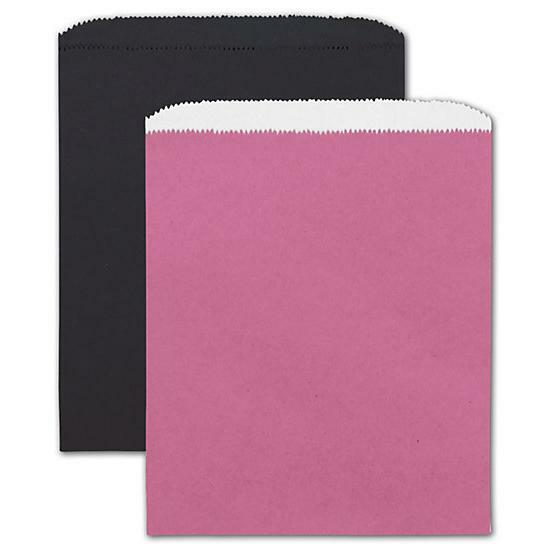 Some can be personalized with your business information or order it blank without any printing. You can order them flat or square shaped with a bottom and with handles. 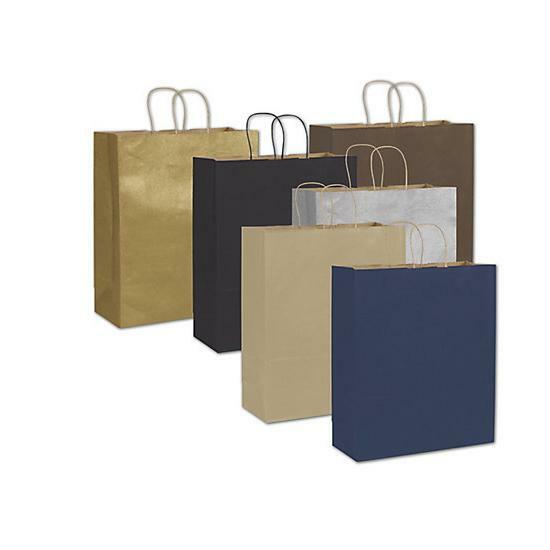 We offer different sizes, large, medium or small, to accommodate whatever product you sell to your customers. You may choose to increase appeal by choosing a paper bag based on a specific color that compliments your brand and message. 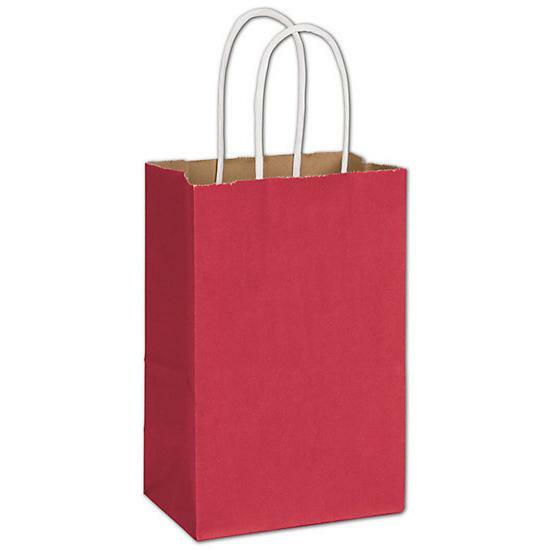 Our selection includes standard paper bags, laminated, radiant colors, animal prints, colored papers, patterned, stripes, floral, and more. 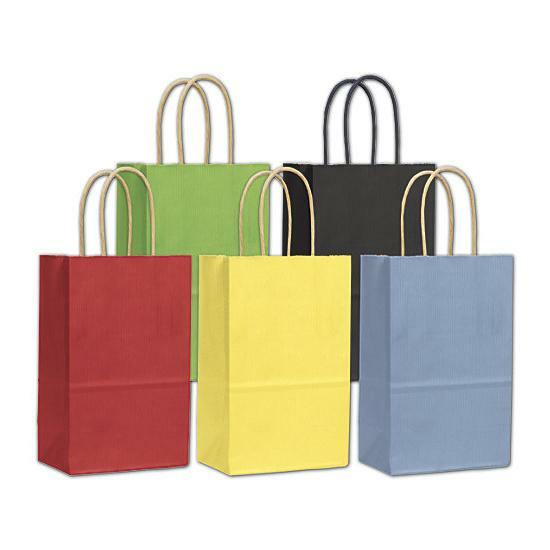 Our customers use them at churches, events, gift shops, trade shows, funeral homes, retail store etc. We ship to all USA & Canada cities including New York, Houston, Atlanta, Miami, Los Angeles, Los Vegas and more. 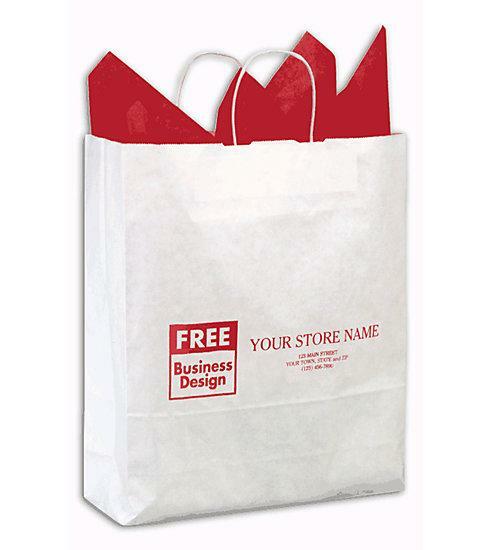 At DesignsnPrint you will find a paper bag for your business needs or personal use. There are just so many options to choose from. 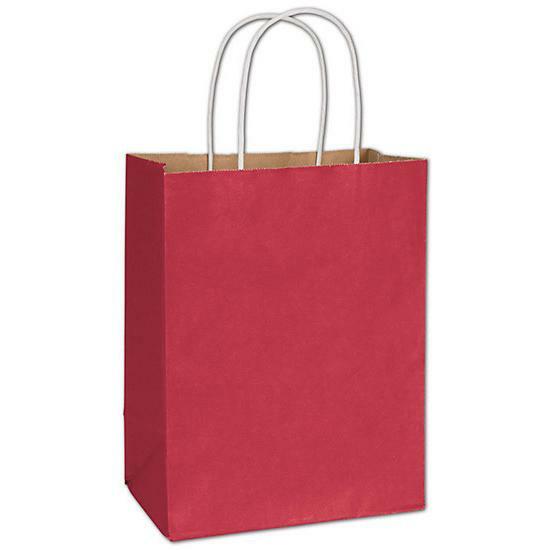 For handles, you can choose those that are Die Cut, No Handle, Ribbon, Rope, Trapezoid, or Twisted. 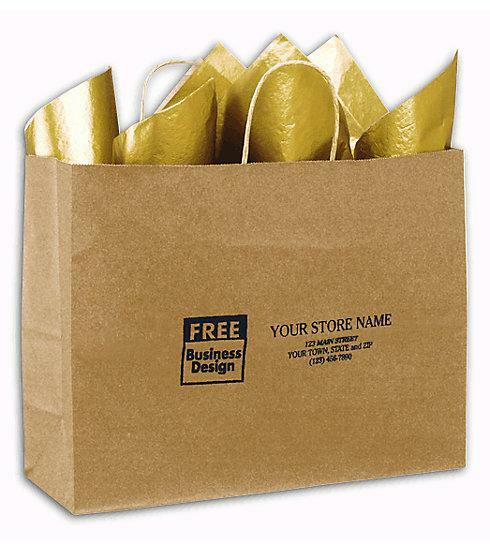 We offer much more than just brown or kraft bags. 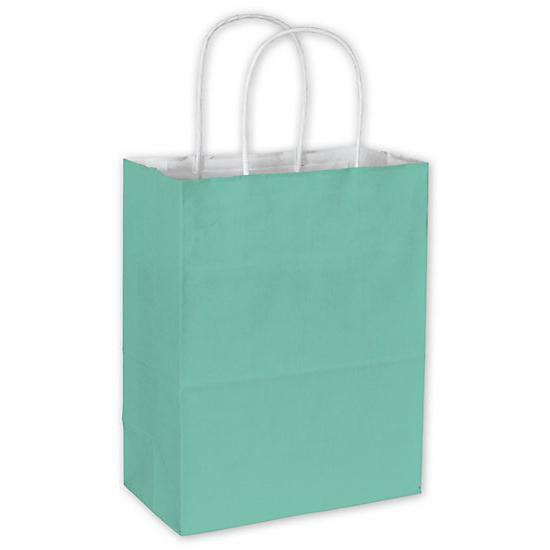 There are also those without handles made for wine or liquor bags, merchandise bags, lunch bags, bakery bags and more. You can choose from a wide assortment of colors including Black, Blue, Cream, Gold, Green, Orange, Pink, Purple, Red, White, & Yellow. 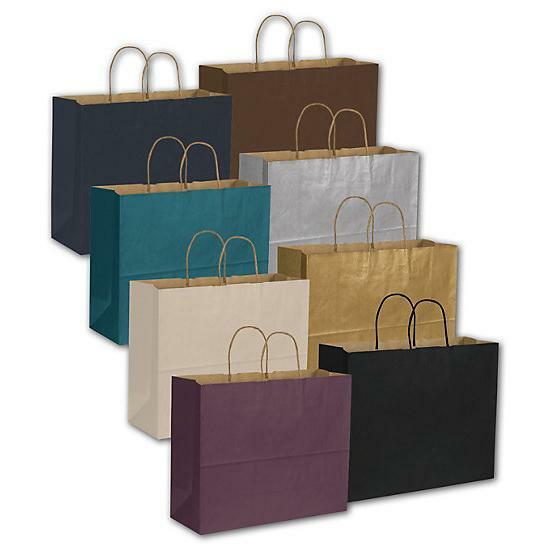 Enhance bags with a glossy, matte or varnish finish. Contact us if you have a personalization request. 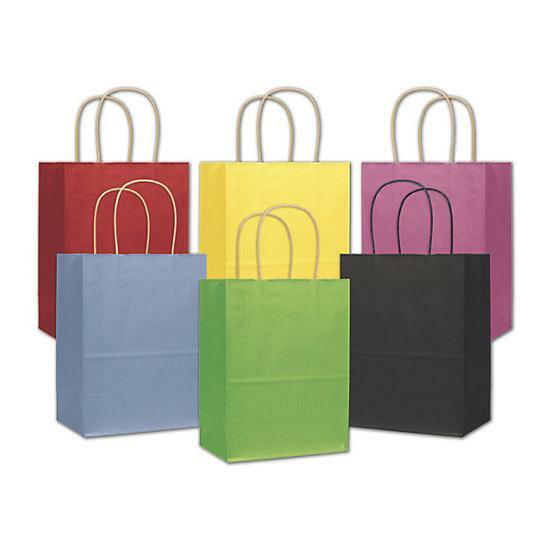 Many bags can be printed with your business information. This helps to build your brand and every custom leaves the store with a piece company, spreading the word & promoting. 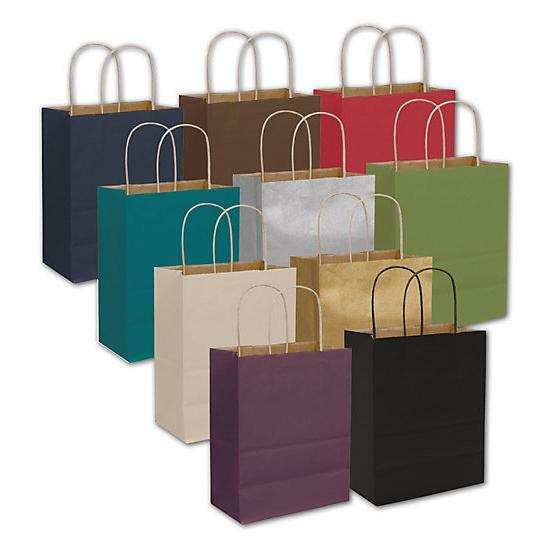 Custom paper bags give your business a professional look and the great news is that they are affordable.